Distracted driving has emerged as a disturbing trend that poses a serious threat — not only to preoccupied drivers, but to other drivers. Accidents caused by this unsafe practice have seen a major uptick in recent years due to the widespread use of smart phones while driving. Whether to text or post to social media, phone distractions are dangerous. 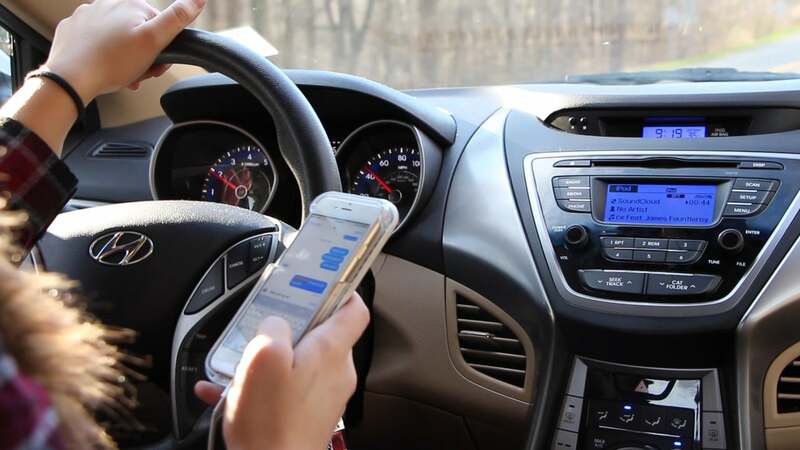 Although drivers of all ages may be guilty of driving while distracted, studies have found that teenage drivers are especially tempted to use their phone to snap photos or text from the driver’s seat. Personal injury lawsuits on the basis of distracted driving are becoming more prevalent. A wrongful-death suit against taxi-alternative company Uber cites distracted driving as the cause of a collision that killed a 6-year-old girl and injured her mother and brother while they were crossing the street on New Year’s Eve in California. Allegedly, the Uber driver was logged into the company’s smart phone app, waiting to receive and accept a ride request, when his SUV collided with the girl and her family. Although this case doesn’t involve a teenage driver, it demonstrates how (alleged) smart phone use while driving can have horrifying consequences. If you have teenage children, you know that many young people use their cell phones to take “selfies”, a nickname for self-portraits. It’s come to the attention of law enforcement and safety advocates that teens are taking selfies and posting to social media while behind the wheel, some of them even use the hashtag #ihopeidontcrash with their photos. Expressing that fear, even though it’s disguised with a supposedly amusing hashtag, shows that these young drivers have an inkling as to how dangerous this practice could be. Distracted driving laws vary by state, but many have a law in place that bans drivers from using handheld phones. In addition, most states ban bus drivers and beginner drivers from all cell phone use (handheld and hands-free), and enforce a ban on texting for all drivers. At Stealey Law and Mediation, we see far too many personal injury cases that are the result of distracted driving. Don’t be the cause of the next accident — put down your phone and pay attention. And if you’ve been a victim of a distracted driving accident, give us a call. If you have a case, we can help you obtain a fair settlement. Download our free auto accident app and learn how to stay calm and collected.